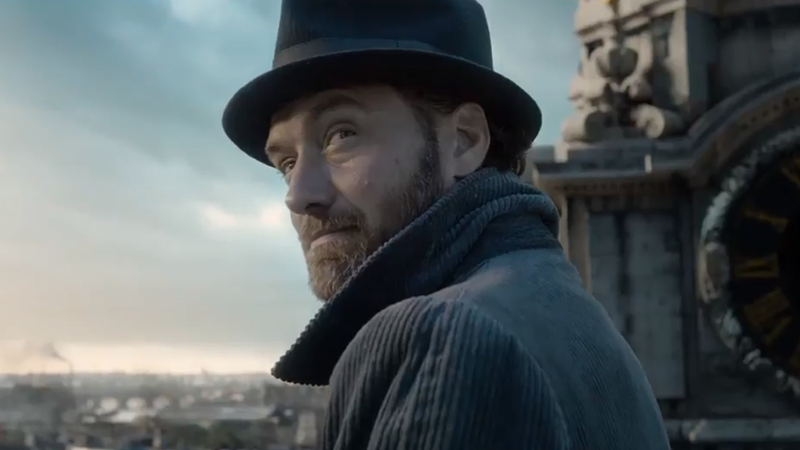 Jude Law as a young and very chill Albus Dumbledore in Fantastic Beasts: The Crimes of Grindelwald. 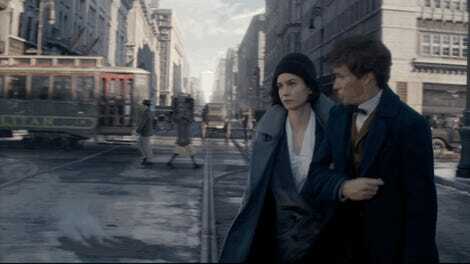 Because the first Fantastic Beasts was a fish out of water story about Newt Scamander traveling to America, there was only so much of the iconic English wizarding world to be seen. But that’s all changing in The Crimes of Grindelwald. As its title clearly suggests, the follow-up film rejoins Newt as he becomes entangled in Albus Dumbledore’s battle against his one-time friend Gellert Grindelwald, the powerful dark wizard second only to Voldemort. Though Eddie Redmayne’s Newt pops up in the trailer, it’s Jude Law’s Dumbledore who takes center stage as a much younger and way more... chill version of the character. Dumbledore was never a particularly outlandish person in the original Harry Potter films—where he was portrayed first by the late Richard Harris and, later, Michael Gambon—but Law’s Dumbledore is decidedly suave in a way that’s new for the character. We’ll have to wait to see just how smooth a talker Young Dumbledore is when Fantastic Beasts: The Crimes of Grindelwald hits theaters November 16.